Ryan Keeton and his partners want to make car buying fun again at Carvana, the self-styled “Amazon of cars” that first launched in Atlanta four years ago. 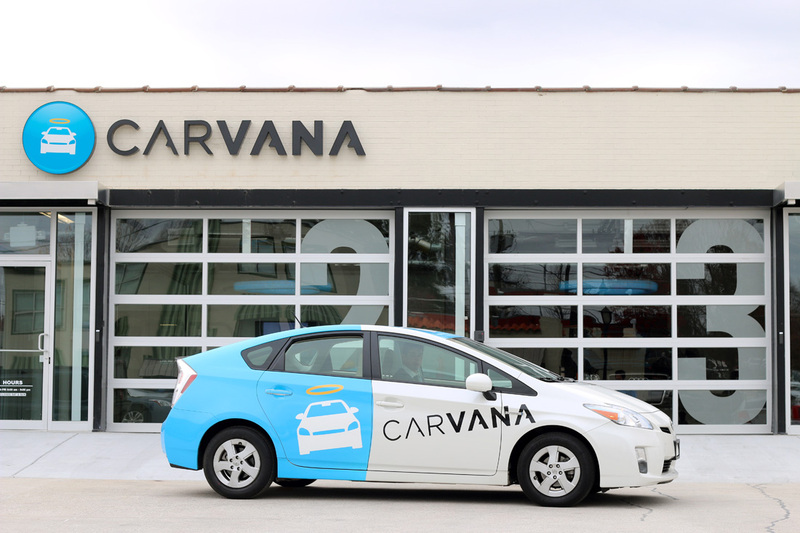 That focus is paying off for co-founders Keeton, Ernie Garcia and Ben Huston—in March 2017, Carvana filed for a $210 million initial public offering of its stock. The first and only U.S. auto retailer to offer buyers a fully automated, coin-operated car vending machine, Carvana has moved the entire car buying experience online. You can browse through more than 7,000 vehicles, get a 360-degree view of individual cars, arrange financing and close the deal in as little as 15 minutes. Next-day home delivery is available, or you can pick it up at the vending machine on Marietta Street. In a traditional model, Keeton says, customers typically go to a dealership, look through a few hundred cars on the lot and maybe take a test drive. Also, conventional dealerships average $250,000 in overhead costs per store, he continued. Those overhead costs—brick and mortar expenses, sales people, support staff—are passed along to consumers in the sale price. Keeton says the co-founders determined that taking car buying online would cut costs and improve the customer experience. He adds, “You can buy a car in as little as 10 minutes— and costs are typically at least $1,500 lower.” He notes the average Carvana vehicle sells for $1,461 less than its Kelley Blue Book value. The site provides customers 360-degree viewpoints of vehicles and lets them zoom in. “They get the experience of being at a dealership walking around the car, but they’re doing it from the comfort of their own home,” Keeton says. Customers can receive their vehicles in as little as 24 hours through home delivery or at the Westside vending machine (where they enter a code to retrieve their purchase). All cars have a seven-day “no questions asked” return policy, providing buyers a week-long test drive. Vehicles also carry a 100-day warranty. Another reason was Carvana’s long-time strategic partnership with DriveTime Automotive Group, the nation’s largest integrated used car retailer and subprime finance company. DriveTime had car lots, cleaning facilities and other physical structures that Carvana was able to use, he says, including the site in Winder where Carvana now operates a fulfillment center and photo studio. Carvana launched the pilot version of its vending machine in Atlanta in 2013, a one-story structure that holds three cars and is accessed by a numeric key pad. The fully automated “Model 2.0” was introduced in Nashville in 2015, which are coin-operated and hold up to 30 cars. Four more 2.0 facilities (ranging from five to eight floors) were added in 2016 and 2017 in Houston, Austin, San Antonio and Dallas. The company has now delivered vehicles in 46 states and has physical locations in 21 cities. “We have a lot of love for Atlanta, which remains our biggest market,” Keeton says. During four years in Atlanta, the company grew into one of the largest used car dealers in Georgia. Its 2016 revenues exceeded $119 million and 6,288 vehicles were sold in Atlanta, the largest contributor Carvana’s overall 2016 sales of $342 million. Keeton adds the company has built on its Atlanta growth to develop the new vending machines and launch quickly into new markets.